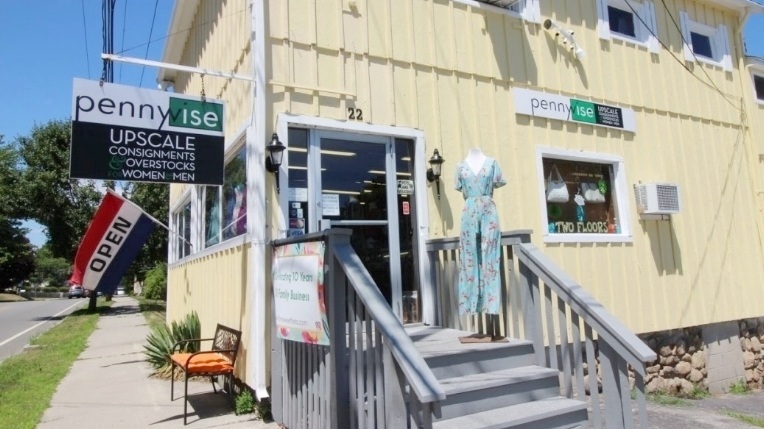 Pennywise is an upscale consignment shop located in Mystic, Connecticut with clothing, shoes, purses and jewelry for women and men. For over 30 years we have offered exclusively name brand and designer items in the latest styles and trends at a fraction of the retail price. We also carry new factory overstocks. Thousands of consignors keep our two floors of inventory changing daily so be sure to check back often! Pennywise is conveniently located across from the Mystic Seaport and only a 10 minute walk from Downtown Mystic!